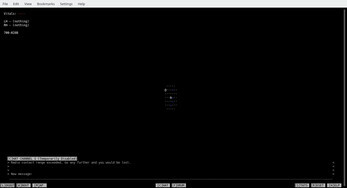 Apsis Online is a classic roguelike based on the First Paradise series. The game is presented as series of both multiplayer and single-player "sequences" set in a hard science­-fiction universe. Note: Servers are currently down for maintenance. While coasting along the silver skirt of a star system aboard a survey ship, you and your crew discover something extraordinary. This discovery serves as a catalyst for the brimming emotional turmoil to follow shortly thereafter. As the crew succumbs to bouts of depression and home-sickness in an artificial environment, eventually they begin to deconstruct the meaning of life and its relevance to machines. Trapped in-between their goal and the many worlds that represent home; First Paradise takes place hundreds of years from today. Its story told between distant planets by distant people. All seen through an ascii/unicode interface and volumes of interactive-text sequences. This is the story of a post-human's spiral towards catatonia in the vast emptiness of interstellar space. First Paradise: Exertion was a development branch focused on player mods. 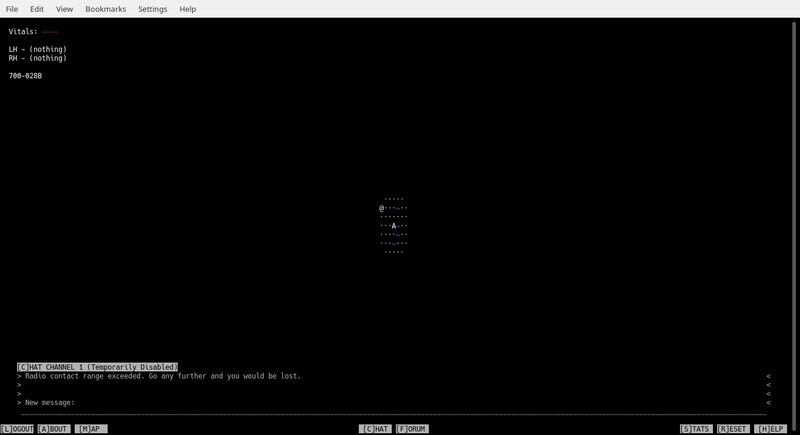 Apsis Online is a minimalist science-fiction ASCII MMO. Disclaimer: First Paradise/Apsis Online is an ongoing project which means there may be occasionally be minor bugs in the software. If you find any, feel free to report the issue via the @space forums in-game.